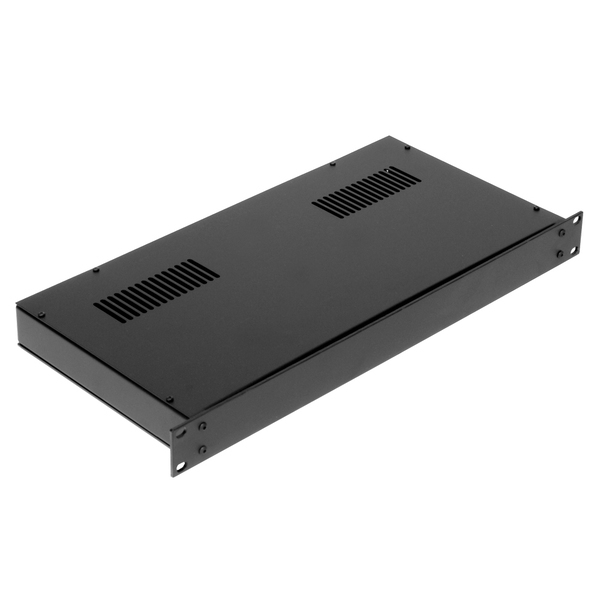 A range of 19" rack cases, manufactured from 1.2mm steel with 3mm aluminium front panel. The case has solid sides with a ventilated top panel. 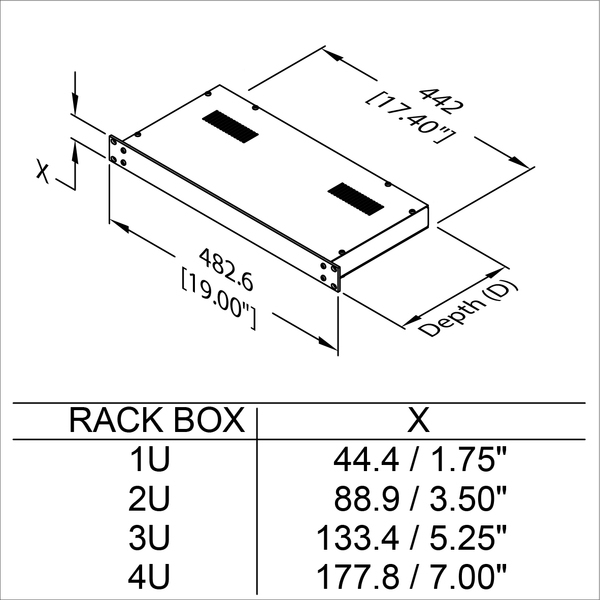 The enclosures are available in four sizes with a depth of 220mm. With either anodised silver finish front panel or black finish.